Create a shift in the consciousness by gathering 100,000,000 people across the world who start their day focusing on solutions! 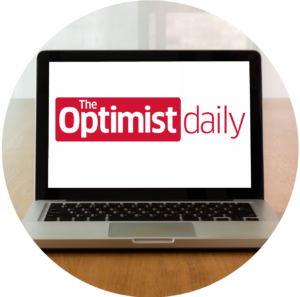 The Optimist Daily is the first global news service dedicated to reporting Solutions. Our focus isn’t “good news,” like fireman saves the kitten from a tree. Instead, we identify and aggregate positive solutions, which are the antidotes to the bad news narratives that currently dominate. Our experience has shown that optimism creates more inspired people and more successful workplace cultures. By reading a daily dose of Solutions News, we feed the positive voice in our head, expanding our creativity, our optimism, and our sense of purpose. Start your day with optimism. Sign up for our daily email packed full of solutions. What we put into our consciousness every day has an enormous influence on our personal health and wellbeing. Everyone should start their day thinking about at least one positive, solutions-oriented fact. I urge you to join The Optimist Daily today. The Optimist Daily can be what no other news service is today: INSPIRING. Right now, in this chaotic time of almost unprecedented change, we all need information we can trust. And we need reporting on REAL SOLUTIONS. We hear enough about all the problems. But real solutions rarely make the front page. We use algorithms and human editors to create a daily summary of real news focused on the things that ARE working and the solutions that we can apply to our communities, and to our global civilization. 100,000,000 people reading our publication every day. There is only one way our species is going to shift away from chaotic conflict and toward collaborative flourishing, and it starts by changing the way we think. There is an energy and a pattern we create by reading the traditional news – and it is no longer serving us. Instead, we need to add real solutions into our everyday routine. The old paradigm is broken. The new one is now at your fingertips. Share these stories on social media, forward them to friends and family, and bring them up in conversation every chance you get. With the World Business Academy – The Optimist Daily is a joint venture between The Optimist magazine and the World Business Academy, pairing an independent international editorial staff with an international nonprofit think tank and business network. This combination brings together solution-oriented journalism and a network of leaders and organizations who are bringing it to the world. 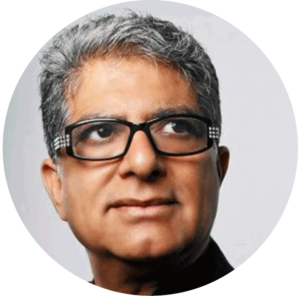 With consciousness changing organizations – We partner with aligned nonprofit organizations and businesses that share the goal of spreading solutions, catalyzing change, and shifting consciousness. With YOU – You not only help us to spread great news… we are also thankful to have your financial support. By providing the basic service for free, we seek to find readers who share the mission of spreading solutions in order to shift consciousness. We are able to offer this service to so many people for FREE only if some people are willing to support the service by voting with their resources. People who become financial backers of this service (we call them Emissaries) make a very affordable monthly payment – equivalent to one sugary drink at a coffee shop. We are founded ONLY by our readers – we don’t track you and sell your data, like most other websites, nor are there annoying, spammy ads and deceptive headlines that try and trick you into clicking. Being an Emissary comes with perks – we have created a premium version of the daily service, which includes at least ten more Solutions News articles, access to our full archives of solutions, and weekly articles from our award-winning team of editors and journalists. We call our financial supporters “Emissaries” because you are on this special mission with us and you make our work in the world possible.